Middle-earth: Shadow of War is, without a doubt, one of 2017’s most highly-anticipated games. This makes sense taking into account that its predecessor Middle-earth: Shadow of Mordor caused a sensation back in 2014 due to its ace third-person combat and original story set in the Lord of the Rings universe. And the upcoming Shadow of War looks likely to improve on every aspect of the original game as it will offer a bigger open-world, an expanded Nemesis system and larger battles for you to take part in. This will also continue the story of Shadow of Mordor, with protagonist Talion still looking to get even with evil baddie Sauron. Talion is once again joined by his wraith pal Celebrimbor, who will help him travel through the dangerous lands of Mordor once more. Aside from Celebrimbor, another well-known Lord of the Rings character will be appearing in Shadow of War, and this is none other than Shelob, the giant spider which tormented Frodo and his pals in Tolkien’s novels. Although as can be seen in the latest trailer released for the game at Comic-Con International in San Diego, Shelob takes a very different form in this trailer, appearing not as a giant and fearsome spider but as a pretty-looking brunette woman. Apparently, she will be showing visions of the future to protagonist Talion, while Celebrimbor clearly is not fond of Talion’s alliance with Shelob as can be seen in this Shadow of War preview. 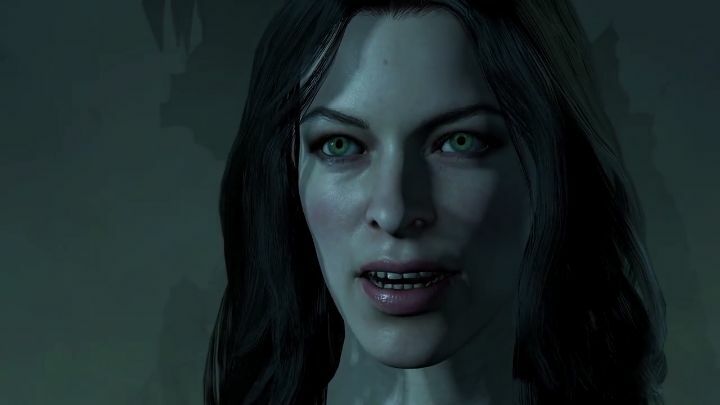 Shelob will be voiced in the game by The Walking Dead actress Pollyanna McIntosh, who is part of a star-studded cast which also includes the likes of Troy Baker and comedian Kumail Nanjiani. So hopefully the presence of Shelob in Middle-earth: Shadow of War will make the game’s story more entertaining to sit through, turning this into a worthy sequel to what undoubtedly was one of the better games to hit shelves in 2014.